Given the history and the associated significance it is a natural expectation that it would be preserved and actually made into a tourist destination of sorts, but the Olympics in 1964 changed all that. 1964, with Japan impatient to show a “new face” post the world war, development schedules were tight and budgets were tight. The Tokyo expressway construction was in full swing and the lack of funds affected highway construction in a way that it became necessary to build overhead expressways above the existing rivers and canals to avoid purchasing land. 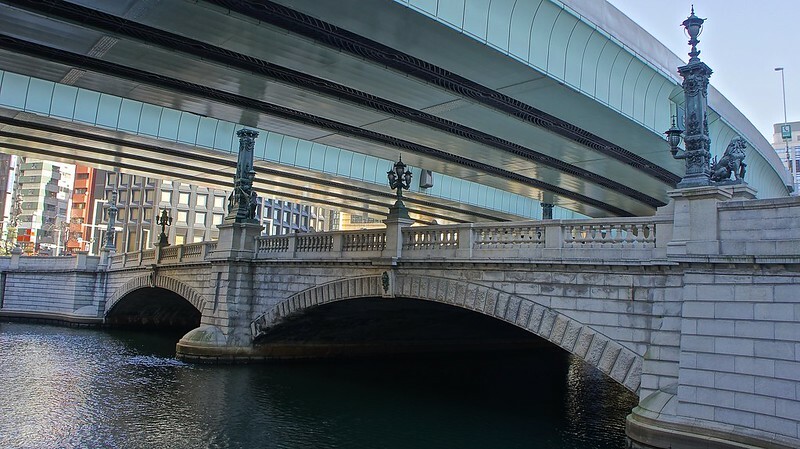 This resulted in Nihonbashi becoming the victim, its once-charming appearance ruined by the overhead highway just a few feet above it, like a giant concrete lid, completely shadowing the architecture of the stone construction. 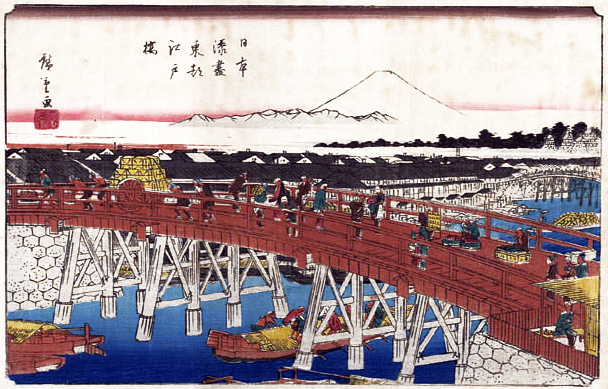 View of the Mount Fuji was completely erased and the bridge stands today stripped of its architectural beauty in the backdrop of the concrete construction. 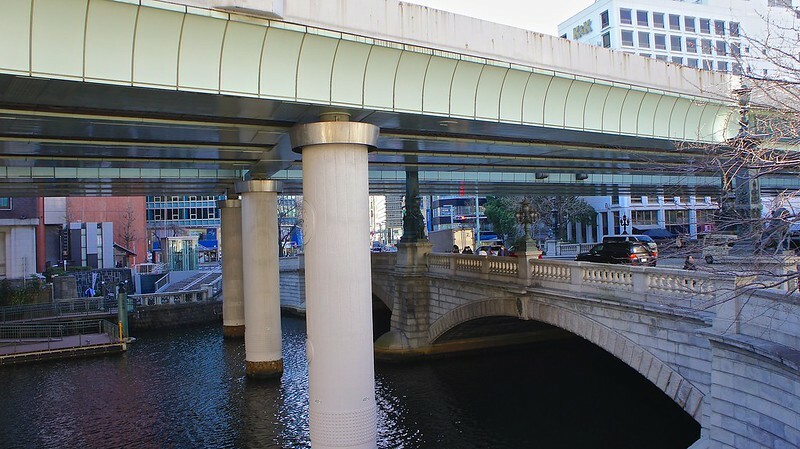 The overall architecture is so much overshadowed that passersby sometimes mistake the overhead bridge as Nihonbashi completely oblivious to the construction below it!! There has been a signature campaign going on for a long time with enough political movements from the days of Prime Minister Koizumi Junichiro which attempted to get the reconstruction work underway and restore the bridge to its original beauty. But re-construction requires real money and the ex Tokyo Governor Ishihara did not agree to fund it without a proper business case justifying the benefits. 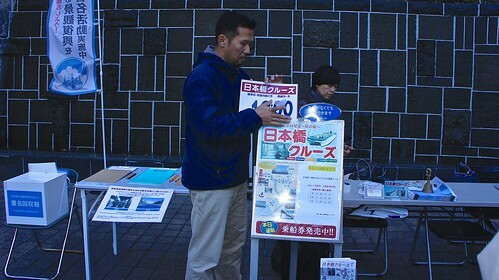 The Nihonbashi Cruise desk at the Nihonbashi Bridge. The signature campaign is run by this group. Note the signature collection box on the left too. 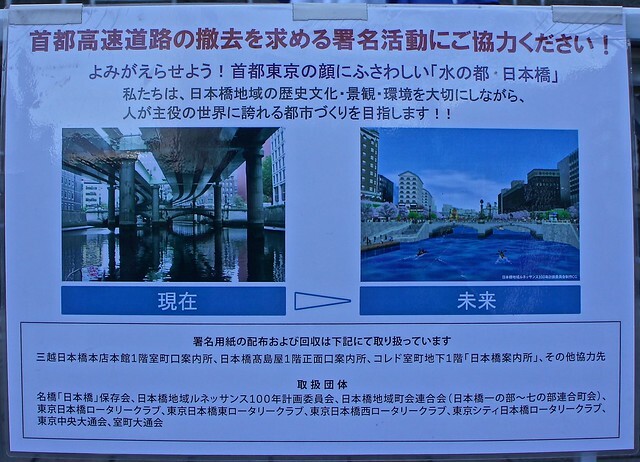 The signature campaign has a AS-IS and TO-BE for the restoration of the bridges to its original state and push the Tokyo expressway underground. The revival of Nihonbashi, which includes plans to bury a highway and resurrect a river-cruise route that hasn’t been used since the Edo era, could boost the area’s economy by as much as 3.1 trillion yen ($30 billion) through higher property values and revenue from more visitors, according to Nihonbashi Michikaigi, a group of academics that advocates for the redevelopment. 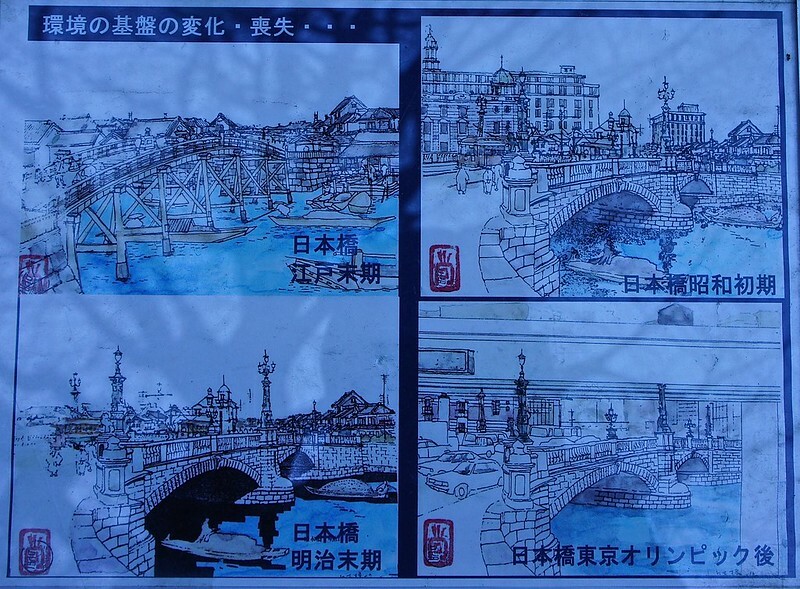 The Nihonbashi area with its hige rise buildings will never return to the 17 century beauty, but at-least the overhead bridge which has been overbearing for over 50 years will be sent underground and the area made more appealing for tourism which will be a good positive for the community.